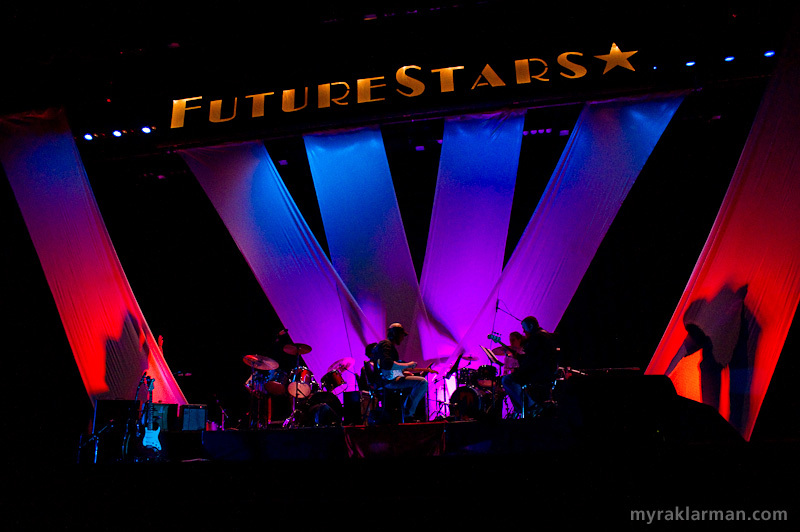 The FutureStars stage just before the start of the show. Relative calm before the talent storms in. FutureStars 2010 was an extraordinary event that so totally exceeded my already high expectations, especially in terms of showmanship. And I’m sorry, but you had to be there — if you were lucky enough to get tickets, that is. Long gone are the days when the Pioneer Theatre Guild had to beg, borrow, and steal bodies to fill Schreiber Auditorium. Here’s what I want to know: What planet do these kids come from? Who gave them the idea they could do those riffs and make those moves? And where did all that soul come from? Producer Susan Hurwitz denies responsibility; she says the kids did it all on their own. As many veteran producers and directors know, sometimes it’s best to just get the hell outta the way and let the performers do their thing. For giving the performers this room to express themselves so fully, we should applaud the entire directorial and production team, which also includes Sadie Yarrington (Theatre Guild alumna), Desi Oakley, Han Park, Joel Sparks, Brian E. Buckner, and Ciara Stella. Surprises abounded, barriers were broken, expectations were surpassed. Here Leo Bayless-Hall boldly goes where no FutureStars contestant has gone before. He gives the full rock-star treatment to Queen’s Fat Bottomed Girls. The judges didn’t stand a chance — the onslaught of audacious talent overwhelmed us all. But they had the impossible task of narrowing down the field to five finalists. So impossible, in fact, that they were only able to winnow it to six. Hats off to Philip van Spronsen (screenwriter and University of Michigan alumnus), Zack Pearlman (actor and Pioneer Theatre Guild alumnus), Lucy Ann Lance (local radio personality), and Courtney Clark (owner of Cake Nouveau and challenge competitor on the Food Network) for giving it their best. Tim VanRiper, two-time FutureStars finalist, performed Man in the Mirror. 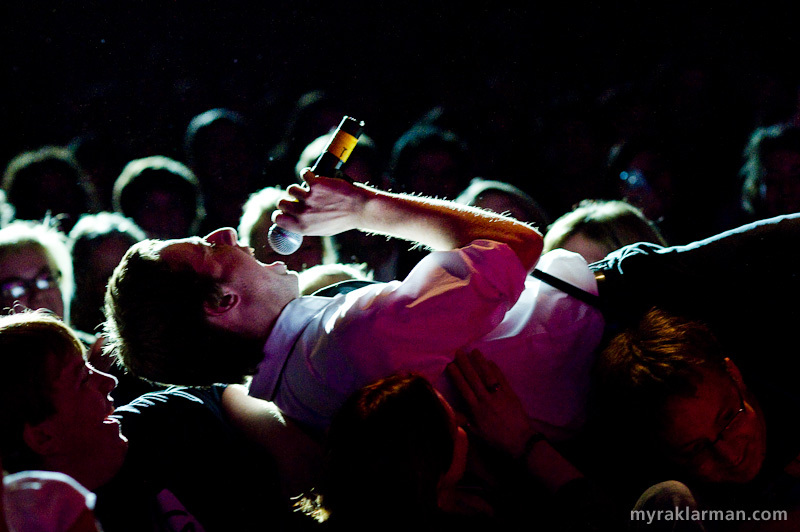 | Kiel Lerch opened FutureStars 2010 with his strong and memorable rendition of Gives You Hell. 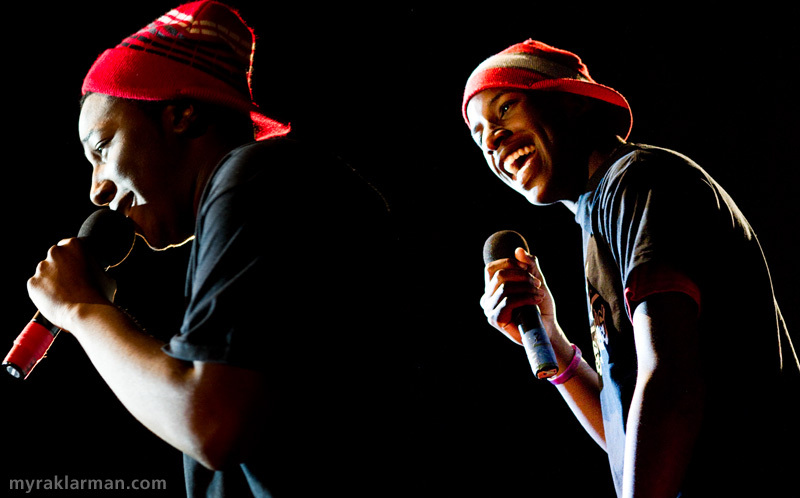 Top-6 finisher, rap duo Anthony Porter and Mani Herring (Dark Side Boys) performing Smooth Criminal. Carly Paull-Baird, Carolyn Buckingham, Maia Gleason, and Olivia Bassett-Kennedy spared no sass in their performance of Lady Marmalade. Top-6 finisher Robby Eisentrout’s voice was silky-smooth in So Close. 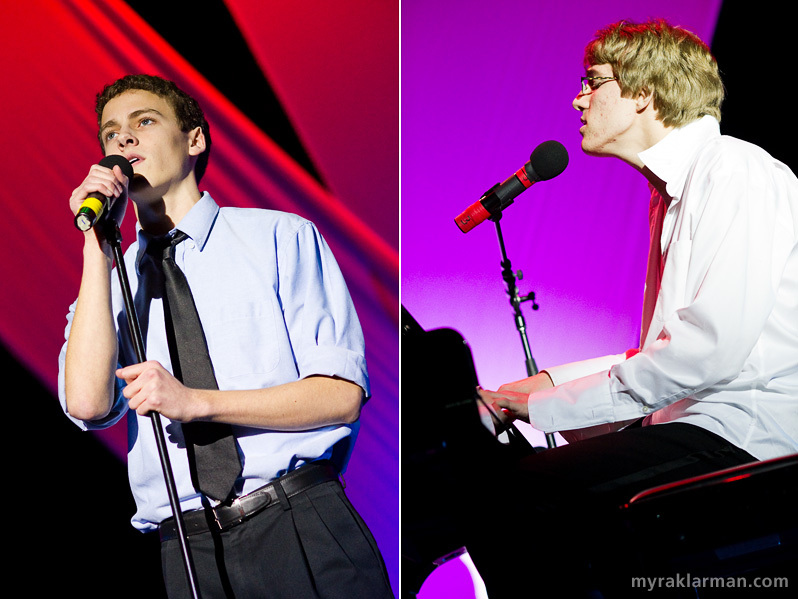 | Co-FutureStar Ryan Yunck floored the judges with his brilliant, self-accompanied performance of Piano Man. 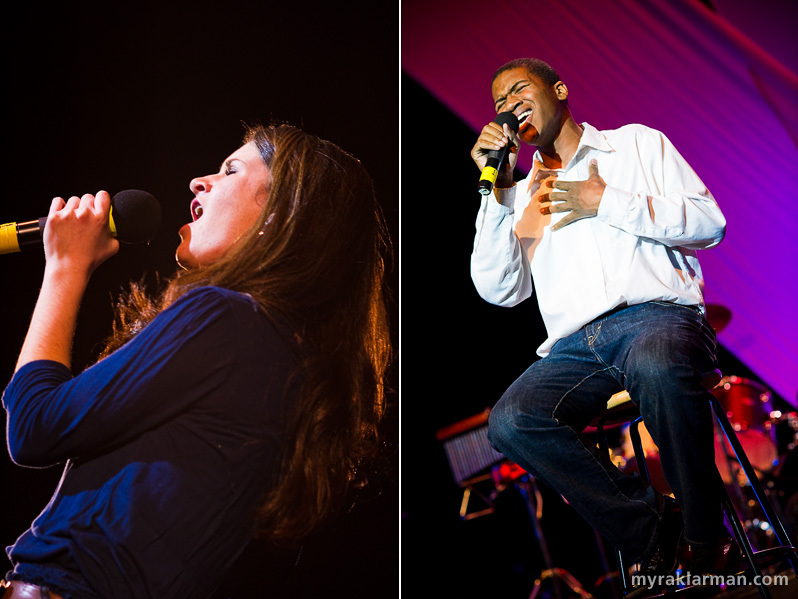 Mara Abramson turned us all into believers with her stunning performance of When You Wish Upon a Star. 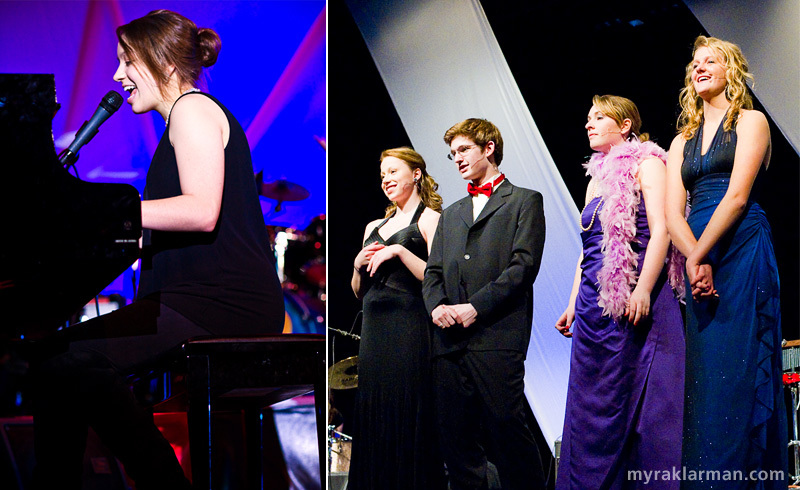 | She was accompanied on piano by FutureStars music director Brian E. Buckner. This was the event of a lifetime, and I thank my lucky stars I was stage-side to see it. Hannah Pearlman and Space Cadet even had choir accompaniment for an utterly complete performance of Queen’s Bohemian Rhapsody. Surely, Freddie Mercury would have been proud. I loved how Top-6 finisher Space Cadet with Hannah Pearlman assembled themselves in perfect rock-star, photo-op formation. All my group shots should be this easy! Ben Pernick (sunglasses), Amin Lanseur (top hat and wings), Hannah Pearlman (guest vocalist), Ryan Yunck, Ryan King (in table pose), and Max Hully (lying on floor). Top-6 finisher Maia Gleason expertly delivered a dramatic Lean On Me. | Co-FutureStar John Spalding gave the audience goosebumps with Dance With My Father. 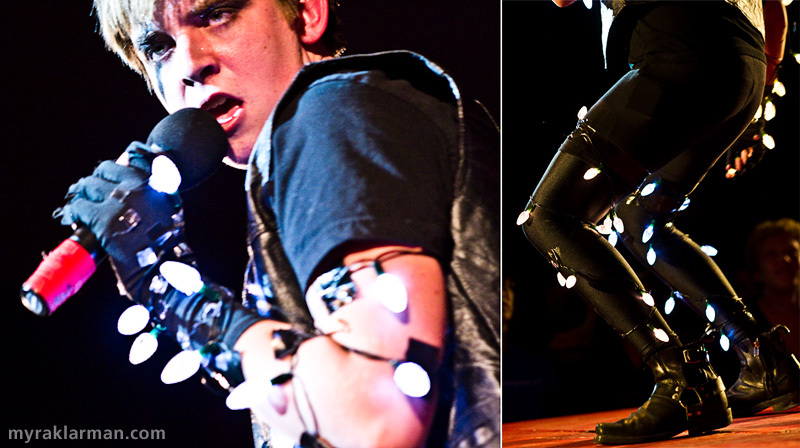 Schuyler Robinson executed a high-voltage performance of Bad Romance. This year’s special guest performer was 2007 Pioneer graduate and Theatre Guild alumna Lucciana Costa, who has launched her professional music career. She’ll be performing at The Ark on Friday, April 30, 2010. 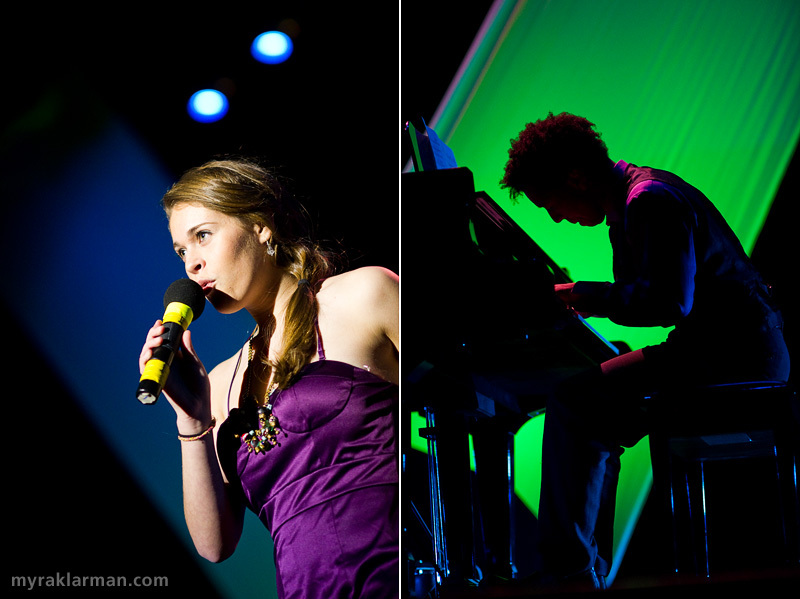 | FutureStars hosts Sara Pelo, Corey Garff, Claire Schorin, and Julia Rampton go formal for the finale. 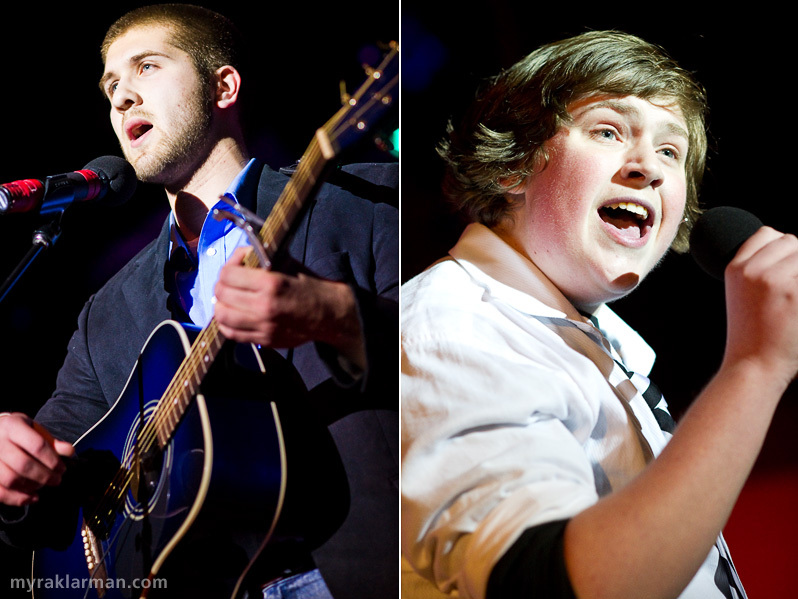 After several excruciating rounds of voting, it was just too close to call: John Spalding and Ryan Yunck are elated to share the title FutureStar 2010! Stunning photos, Myra! They are INCREDIBLE. Amazing photos! I just wish we could’ve seen the Rising Stars. Definitely includes Rising Stars shots! I couldn’t believe how fabulous the kids looked and how unbelievable the photos were. So I waited a whole day and checked the blog out again. No, I wasn’t mistaken. The whole thing is out of this world. Kudos to Myra for capturing the power and beauty of the presentation. Way to go, Myra!!! What a great experience for them! Killer photos – looks like over-the-top fun. Nice job!